Over the past few years we have seen a massive explosion in the previously limited wah pedal market. Cry Baby, now owned by Dunlop, has been leading the charge as can be seen from a quick glance at any retailer’s offerings. Simultaneous to the wah explosion has been the mini pedal explosion. Never to miss a beat, Dunlop has decided to combine these two phenomena and begin releasing mini wah pedals. For some this may be a real game changer, as wah pedals are typically heavy, and always take up a lot of space on a board. 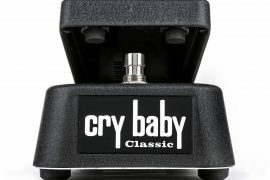 The current Dunlop Cry Baby Mini wahs are almost exactly the size of a standard Boss pedal, meaning that the space factor no longer has to be an issue for those looking to add a wah to their rig, and Dunlop claims that these new pedals all have the same capabilities as their original counterparts. We watched from a distance as Dunlop released the first run of mini wahs, but when they revealed that they had developed a mini version of the legendarily versatile 535Q Wah, we knew we had to get a hold of one and try it out. 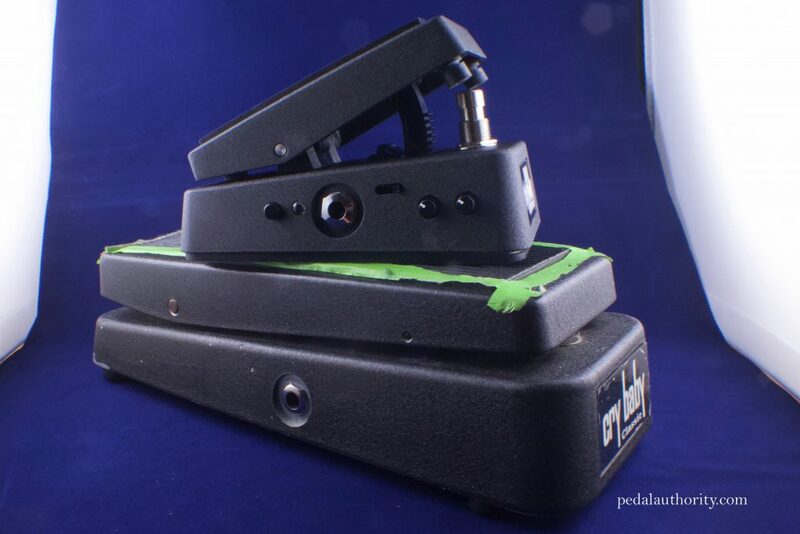 The original 535Q was already a space saver, as it took rack-level tweakability and shoved it all into a standard wah pedal casing. With its release came the ability to tweak the shape of your wah’s sound without having to invest in Dunlop’s rack mounted Cry Baby unit. It also incidentally introduced many guitar players to the concept of filtering. Needless to say that our interest was piqued with the release of the Cry Baby 535Q Mini so we decided to take one for a spin. The documentation that comes with the 535Q Mini indicates that these are the four most popular settings from the original 535Q. This is basically true, although you can see from the official reported ranges of the 535Q that this statement is not 100% accurate. Still, the general ranges are similar enough. Q knob: adjusts the width of the pedal’s bandpass filter. Turn this knob up to narrow the bandpass filter and emphasize the higher frequencies, or turn it down to widen the bandpass filter and emphasize the lower frequencies. Another way of thinking about the function of this knob is that it controls the “intensity” of the wah effect. Boost switch: engages the pedal’s boost function, increasing the output signal. This is particularly useful when you are using your wah pedal for solos and you need to cut through the mix. 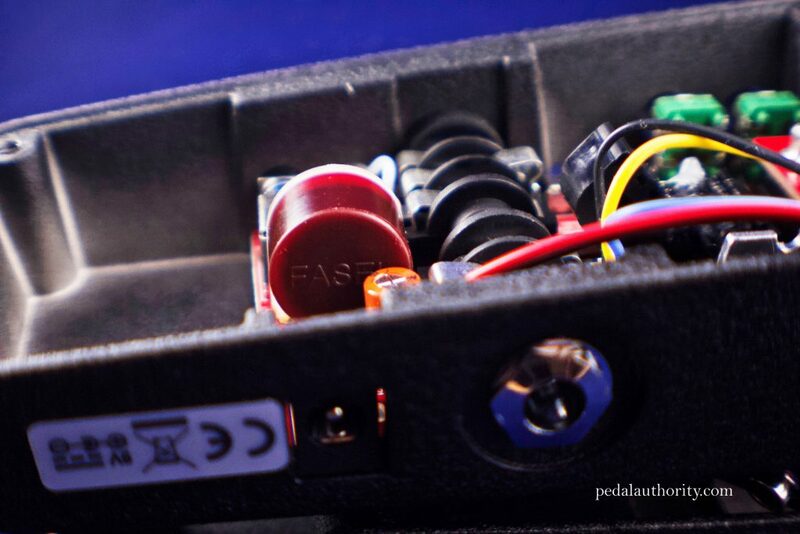 The switch is located on the side of the pedal, close to the heel so that it is easy to engage. A bright LED is located next to the switch to indicate when the boost is turned on, so you can always be sure. Note that the boost only functions when the wah is on. 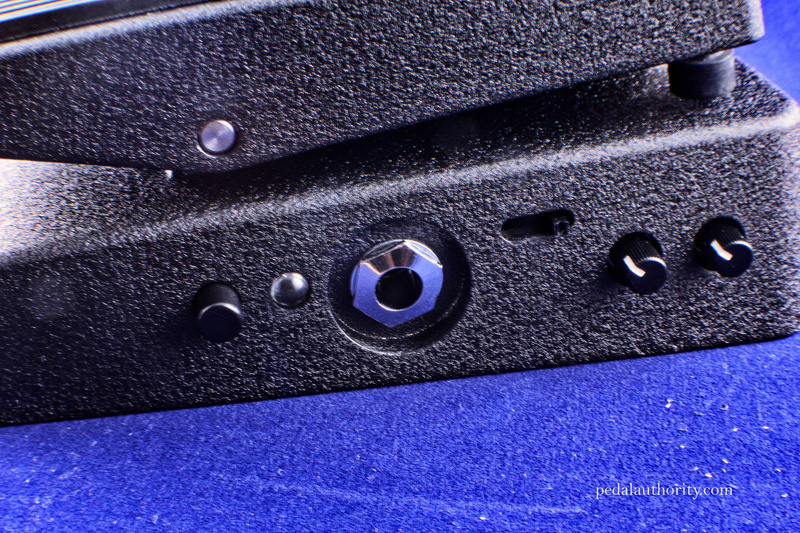 Volume knob: allows you to adjust the output level when the boost switch is in the on position. This control provides you with up to +16dB of gain. 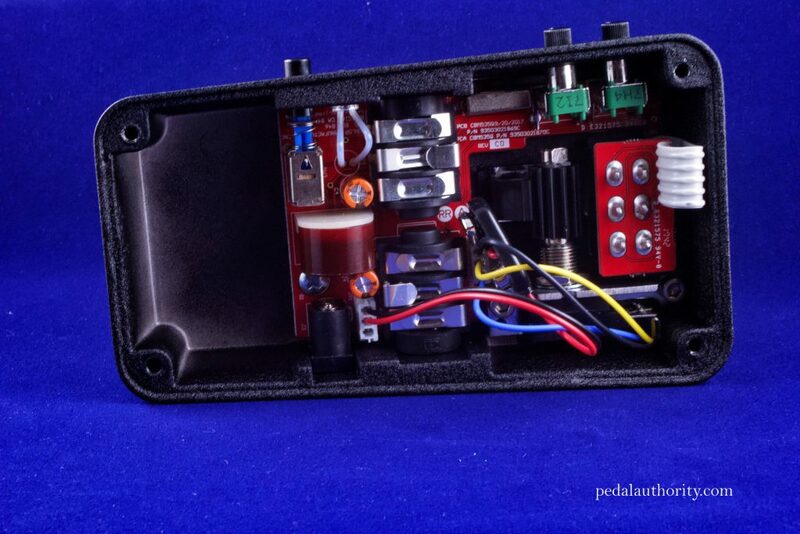 Now, some have voiced concerns about the mini series of wah pedals being too small to actually replace a standard sized wah pedal, the primary concern being that most people will find that their foot fits comfortably on a standard sized wah, while the minis are only about half the size of an average person’s foot. There is some truth to this, but the reality involves a few other variables. First, it is worth considering that those of us who have come up with the standard sized wah pedals will find that our current wah technique may need some adjustment to fit the mini. I ran a brief experiment over the course of about a week where I played the 535Q Mini Wah daily to see if I could adapt, or if the flaw actually was structural. I found that even though I still prefer the original wah casing, the new one did become easier to maneuver the more I used it. I wonder how someone would feel about the difference if they had never used a wah before. Perhaps their foot technique would develop around the size of a mini wah and after years of playing only mini wahs, a standard wah would feel uncontrollable. We will have to wait another decade or so to find out, but it is worth considering. I found that what threw me off the most about the mini wah is the angle of tilt, rather than the actual size of the casing. Given that the distance from toe to heel is shorter on the mini, the pedal’s degree of tilt must be greater, meaning that you have to bend your foot further up to reach the heel-down position. Again, with some repositioning this might not make that much of a difference when you are standing up, but when sitting down it can actually be kind of awkward to deal with the increase in tilt. As with all things, everyone’s experience will be different, but we wanted to acknowledge that the new mini wahs do not feel like the standard ones. This may be off putting to those of you who only have a few minutes to try one out in a store, but we do believe that you can become accustomed the ergonomics of the mini in a relatively brief period of time. Are we all going to run out and replace our standard wah pedals with mini ones? 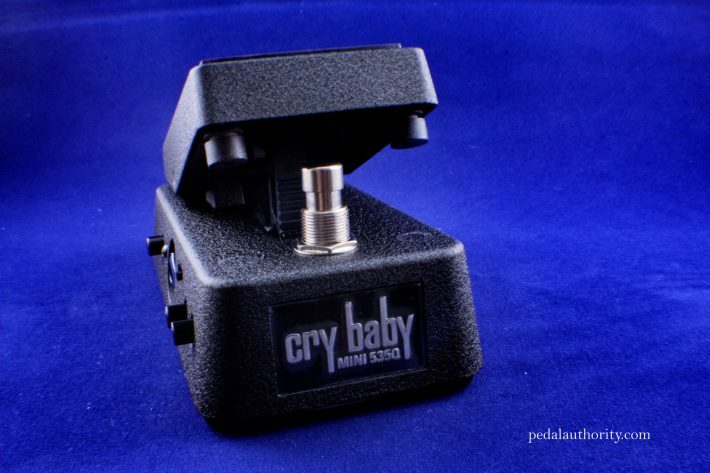 Probably not, but those of you who have a fly rig or a travel rig may want to consider leaving your big, heavy wah at home and getting one of the Dunlop Cry Baby Mini wahs for the road. I for one intend on doing this, as my Cry Baby Classic is by far the heaviest thing that is on my pedalboard. Those of you who do not frequently use a wah, but like to have one on hand for a few moments in your set might also consider the 535Q Mini. Having something that stretches across the whole length of your board may be difficult to justify if you only use it for a few minutes each time you play, so in a case like this, having access to a mini wah may prove useful. Overall, we like what Dunlop is doing with their line of mini wah pedals, and we are particularly happy to see the 535Q added to the lineup. While not for everyone, this mini wah pedal certainly delivers the goods, takes up very little space, and is significantly lighter than a standard wah pedal. 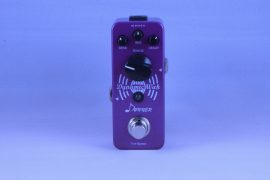 The pedal housing is tough, and the knobs and switches all feel sturdy, so we have no doubts that if you do decide to get one of these mini wahs, it will serve you well for years to come. If you are still on the fence, why not give the Dunlop Cry Baby 535Q a shot? Its a great circuit in a bite sized box.